Pop Up Pepper Exhibition - A photography exhibition..
and benefit sale to support the Organization for Refugee and Immigrant Success and their farms in New Hampshire..
CHaD Currents: Practical Pearls from CHaD Surgical..
Manchester, NH. Manchester - NH. We welcome all female singers to visit our open rehearsals every Thursday at 6:45 PM! 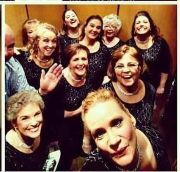 We sing 4-part a cappella harmony and are always looking for women to join us on the risers. Manchester, NH. Currier Museum - 150 Ash Street - Manchester - NH - 03104. Manchester, NH. Manchester, NH - map. Manchester, NH. Nackey Loeb School of Communications - 749 East Industrial P..
Manchester remains the largest city in the state and was established along the shoreline of the Merrimack River. Forested hills and rimrock along with Massabesic Lake border the community. With 900 parks and spectacular terrain, there are plenty of options for outdoor recreation. Within the city, guests might venture to the Currier Museum of Art, the Manchester Historic Association & Millyard Museum or the SEE Science Center. Performing arts venues and professional sporting events are other options. Quilters, sewers and cultural art fans attend the annual four-day MQX Quilt Festival-New England held in April. Hundreds of handmade quilts go on display for all to enjoy. The event also offers quilting classes, discussions and award ceremonies. New Hampshire Magazine commemorates readers during the annual Best of NH held in June. The event takes place in the Northeast Delta Dental Stadium and features dozens of booths, food, beverages, concerts and other live entertainment. The festival culminates in a dazzling fireworks display over the baseball stadium. Local residents have the chance to learn about Lebanese culture during the annual Mahrajan Middle Eastern Festival. The event features traditional and American foods, native music presented by contemporary and traditional performers, a carnival for the children and special ethnic-orientated activities for adults. Collectors venture to the Radisson Hotel in August for the Annual New Hampshire Antiques Show. More than five dozen professional antique dealers exhibit everything from antique furniture and other indoor and outdoor household items to marine and scientific collectibles.